It’s been an exciting week at WHS, as we’ve gotten quite a few new S.T.A.R.T. dogs and so I’ve seen a lot of new faces. Some flew out of the kennels as fast as they were put on the adoption floor, and before I had a chance to take pictures of them. That always makes the staff and volunteers happy, of course! 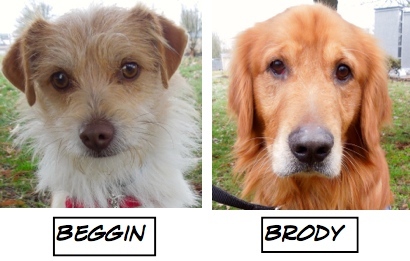 Here are the Blog Dogs who were adopted. 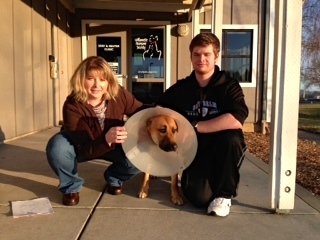 Here are some pictures the staff took of dogs going home last week. 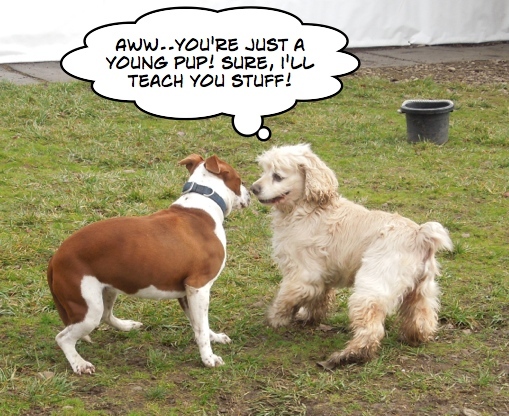 Always such fun to see new lives begun, even when I didn’t meet the dog! 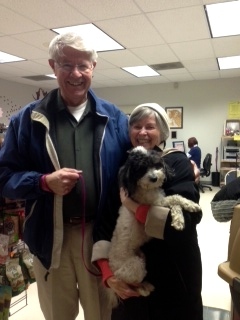 Splenda with her new family. 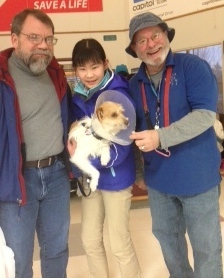 Beggin with her new family and volunteer Randy. Pattycake going home. What a fun family she’ll have! 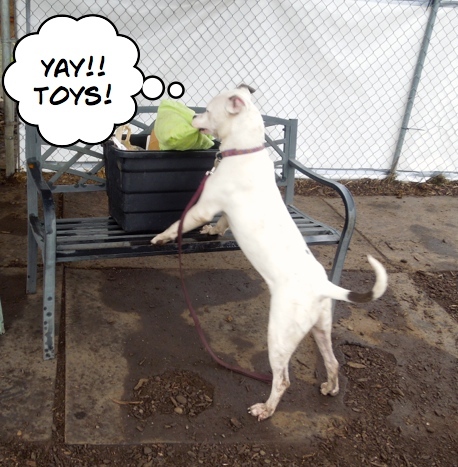 Remember how much fun Sully had in play group last week? Well, Sunday the clown was at it again. 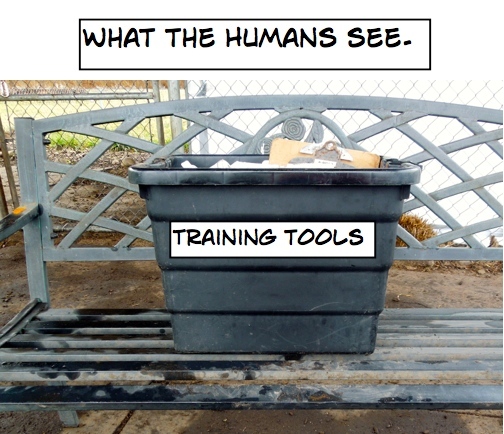 But before I show you his antics, I need to explain the two different views of the “tub” that we bring to play group each week. With that in mind, here’s what we saw and heard when we turned around. 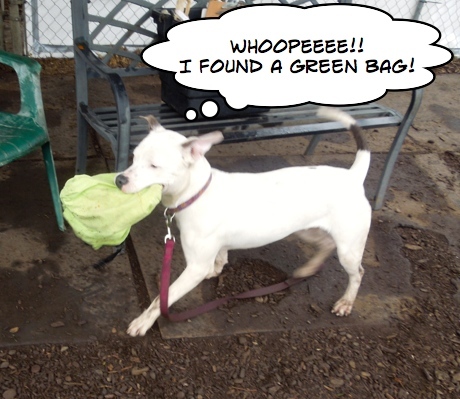 Sully couldn’t wait to prance around the yard with his prize. 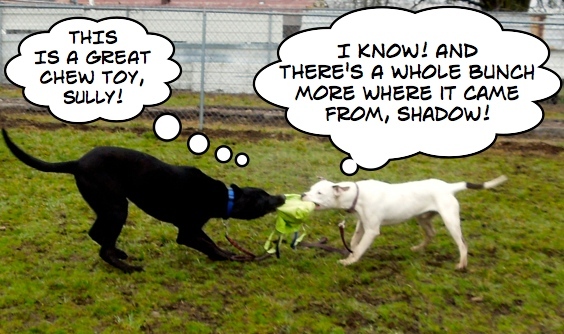 And being the generous guy that he is, he was happy to share the fun with Shadow. 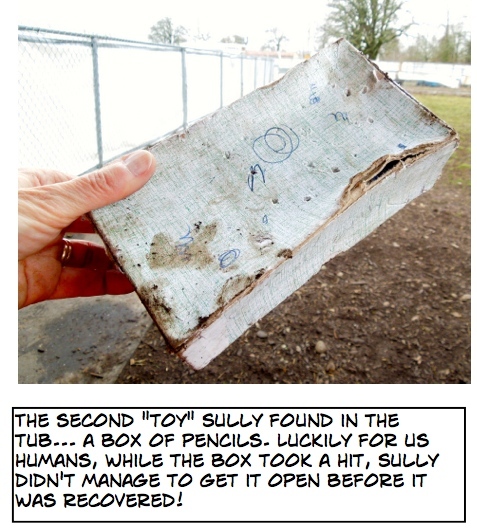 No sooner had we corralled Sully and retrieved the bag, than he dashed back to the tub and grabbed a box. This was the result. But that wasn’t all of the fun I watched. Yes, Clyde is back. (He needs to go to a home without cats.) 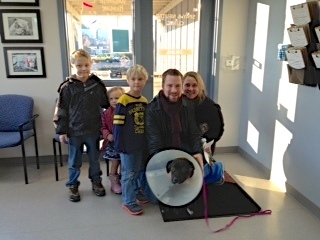 Capone is a newbie who was thrilled to be free with new friends in a big yard. 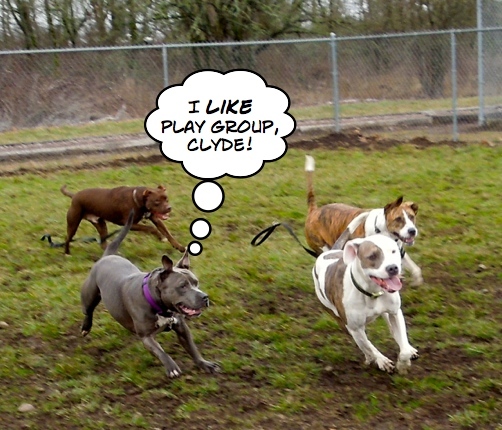 Clyde doesn’t hesitate to say what’s on his mind; and dogs don’t look in mirrors much. 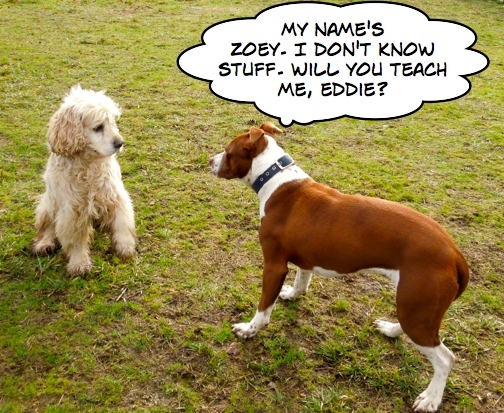 Meanwhile, in the small dog yard, ten-month-old Zoey met ten-year-old Eddie. 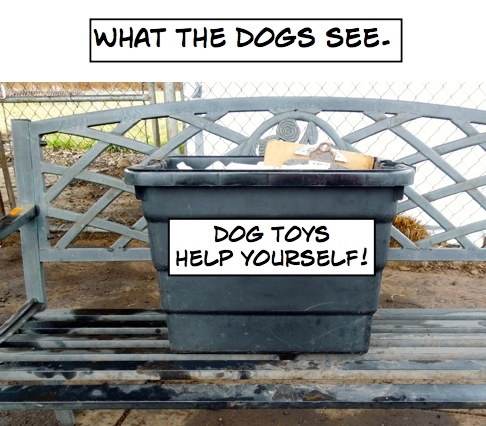 Looking for puppies? Here we are! I had a lot of new dog pictures to take on Sunday and snapped some of them with their walkers. Luke and his mom, Wendy, had a great time with these little characters, Onward and Upward. 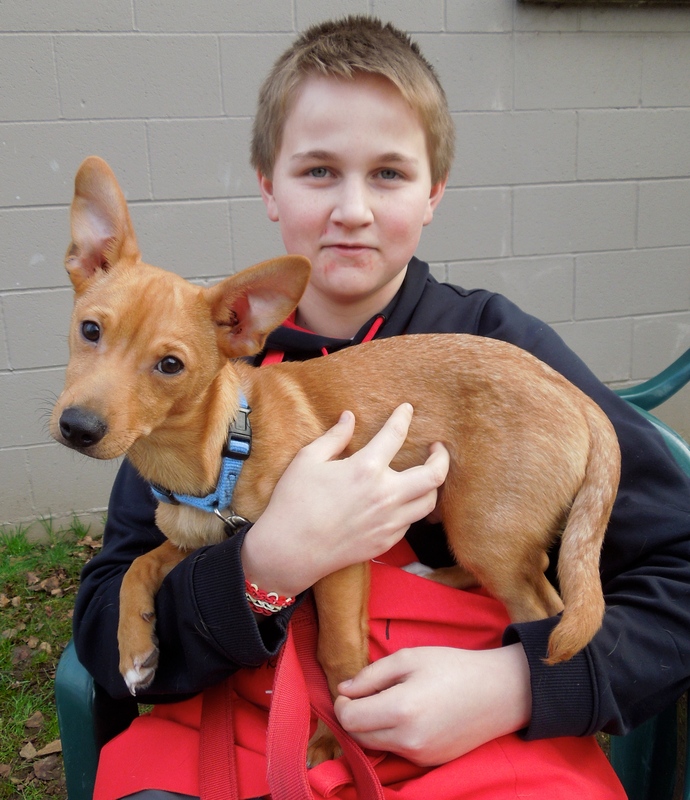 The boys are four-month-old Chihuahua/Welsh Corgi mixes. 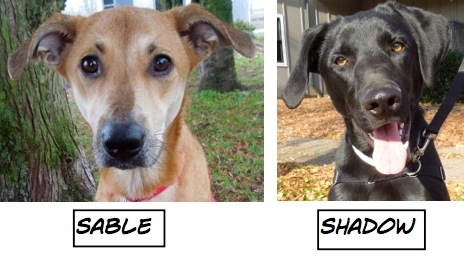 Although they share a kennel, they do not have to be adopted together…whew! 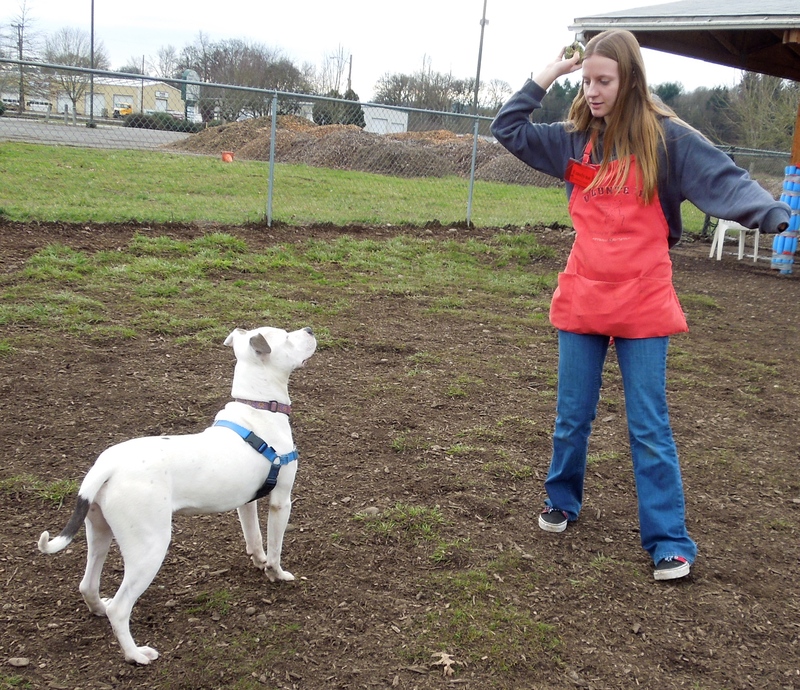 Both adoption packages include the excellent “Surviving Puppyhood” class at WHS. 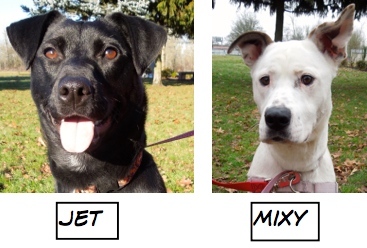 As you can imagine, both of these pups are full of energy and can’t wait to be adopted! Here they were today with Carol and Debbie. I’m new to Oregon and glad to be here! I’m getting adopted on Wednesday! Another new S.T.A.R.T. 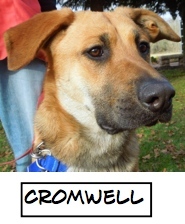 dog I met on Sunday was Cromwell, a Shepherd mix. Bruce liked him immediately, as did I. 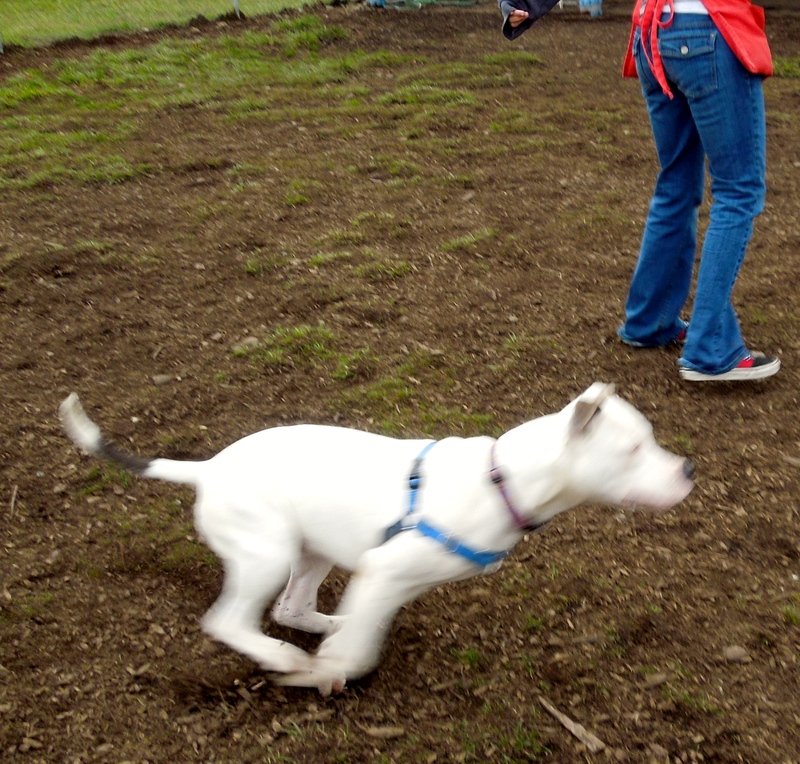 He had a great time in play group (he preferred the small dogs to the rough and tumble ones). I had already decided to feature him on this week’s post when I found out he was adopted today! He will be going to the beach often with his new people. Love these happy beginnings! Sully says I have big ears, but I think they are stately, don’t you? 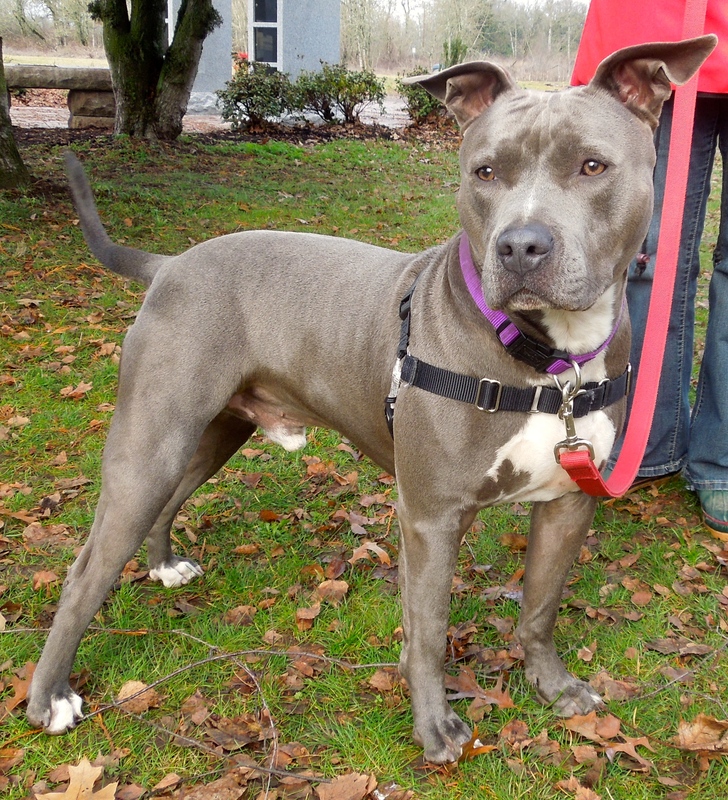 This is the very regal Capone, a two-year-old American Staffordshire Terrier mix. 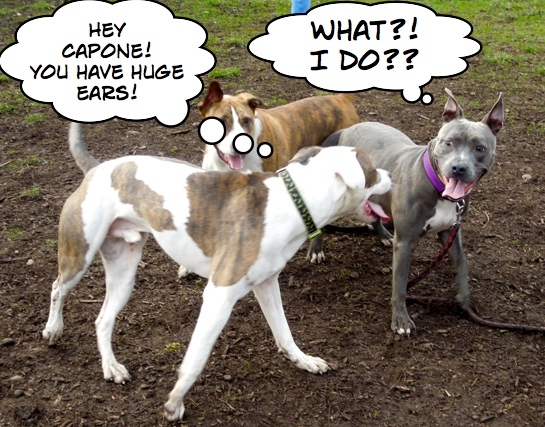 Capone is a S.T.A.R.T. 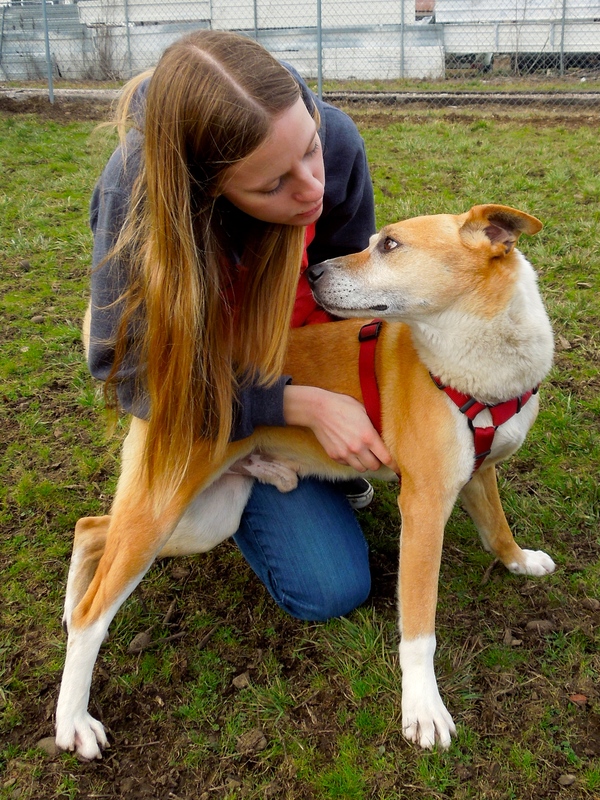 dog fresh from California and anxious to start his new life in Oregon. 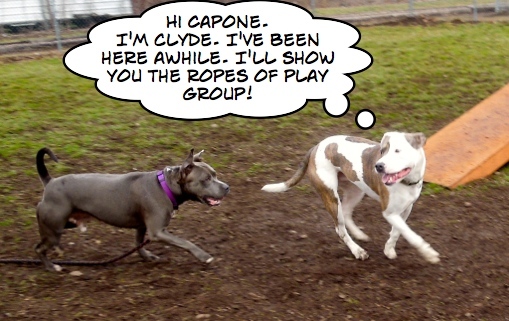 Capone had a wonderful time in play group Sunday and got along very well with the other dogs. 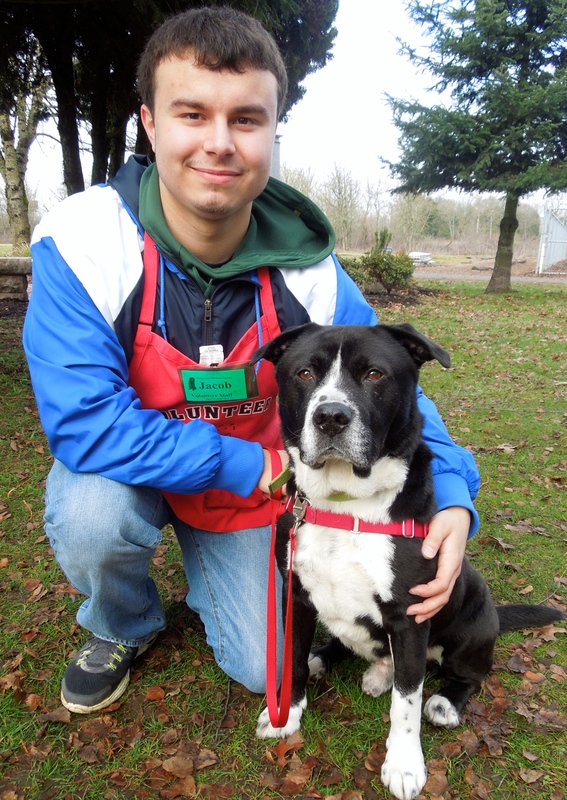 He has quickly become a staff and volunteer favorite. 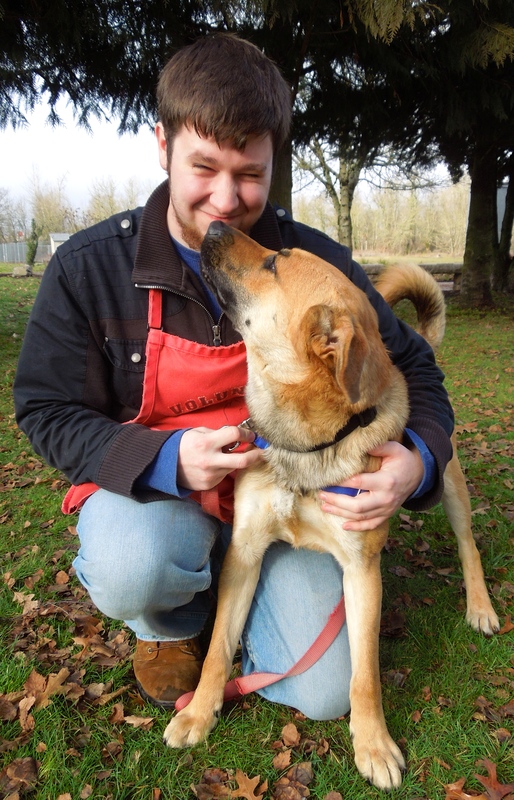 He is polite and knows some basic skills like “sit” but would enjoy additional training. He’s such a good boy! Wendy and Luke fell in love with him. Yep, I’m another S.T.A.R.T. dog loving Oregon as my future home! 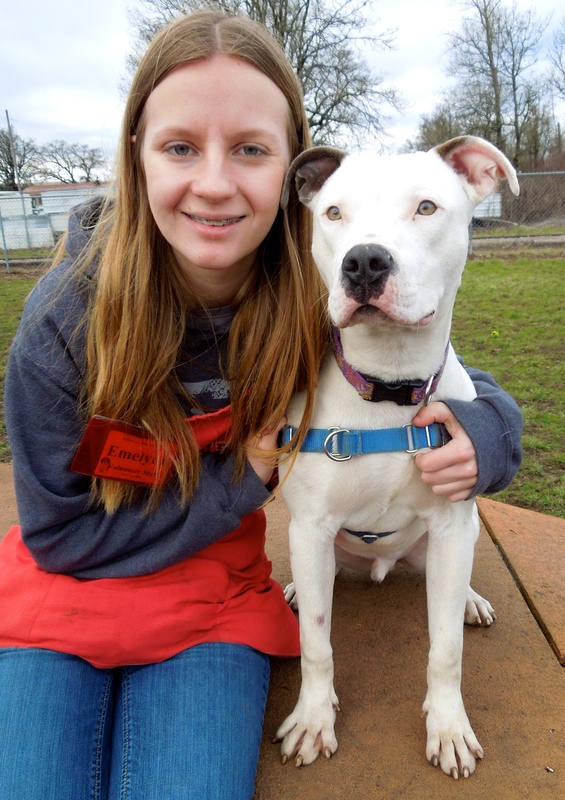 Oreo has been at the shelter for a month and is anxious to get his new life as an Oregon dog started. He is a six-year-old Lab/Chow mix. Here he is with Jacob on Sunday. 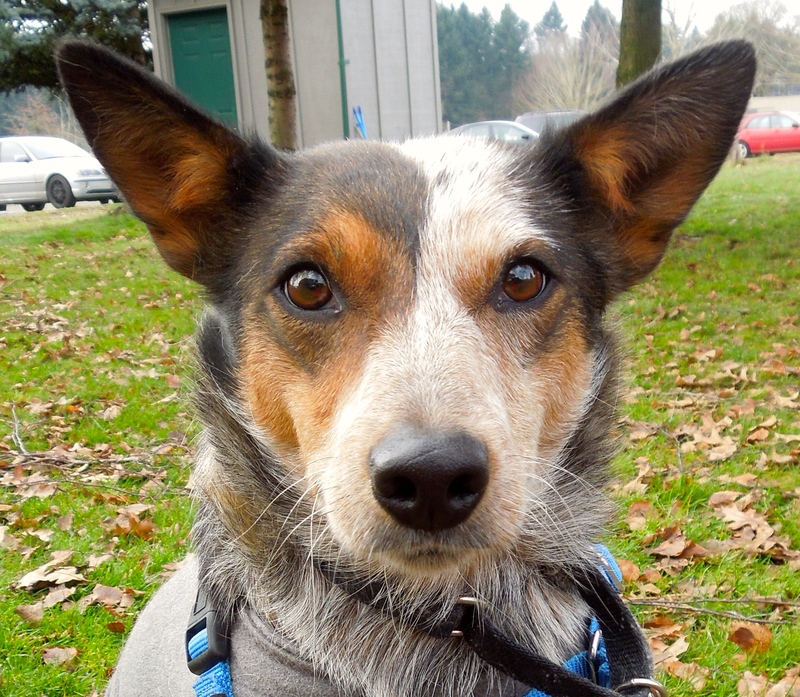 Oreo is not an overly active boy and would enjoy a calm, quieter home where he can just hang out. Oh, and he requests absolutely no cats, please. He would need to meet any other dog in the home. Oreo has been waiting for his new family for quite awhile now and is hoping they will discover him very soon. 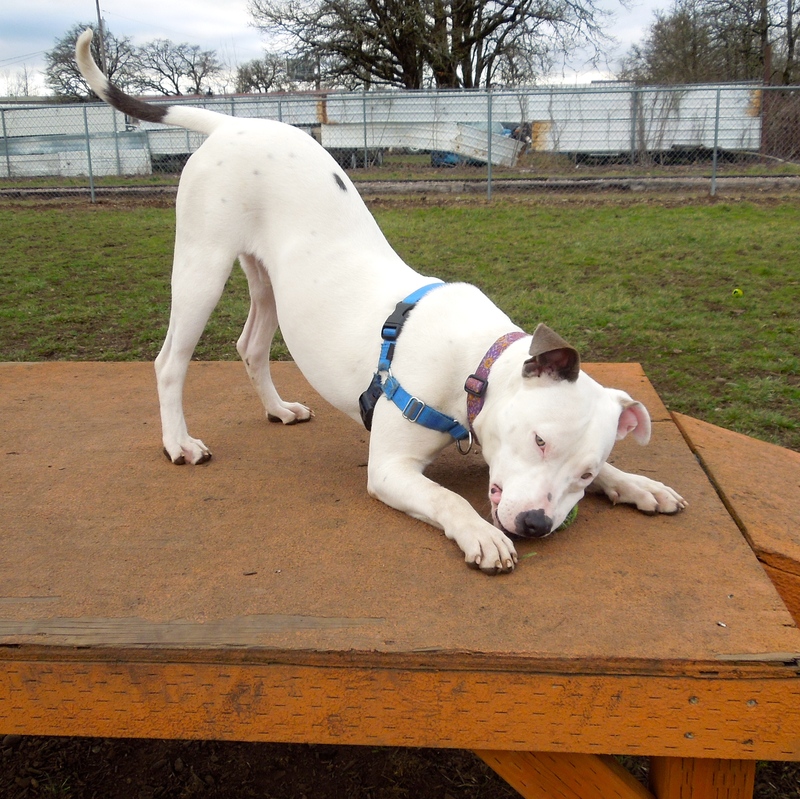 I’m a youngster looking for fun times in Oregon! What a cutie Adam is! 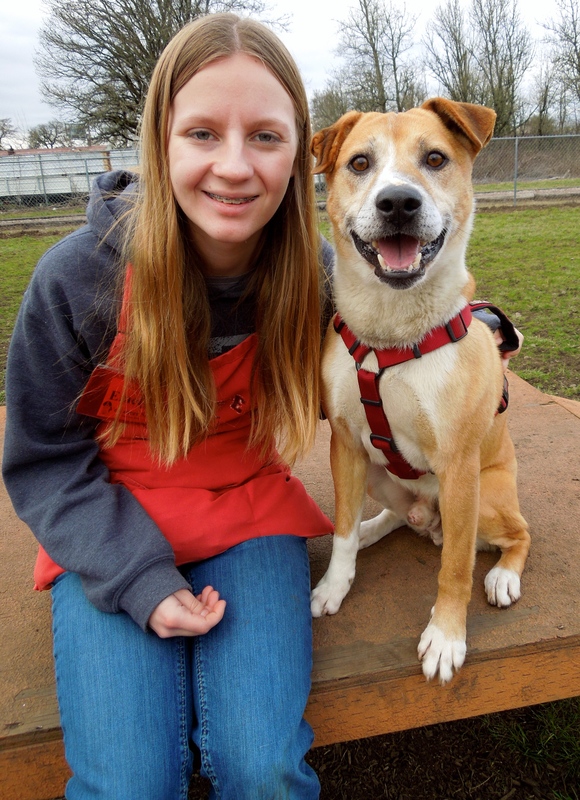 He’s a six-month-old Pit Bull Terrier/Hound mix and he’s ready to start his WHS class “Surviving Puppyhood” as soon as possible with his future family. As you can see, Luke thought Adam was pretty darn cute. Adam kept us laughing in play group on Sunday as he dashed around the yard asking everyone to play. He’s another S.T.A.R.T. dog and he’s anxious to meet his new people! I’m back. I love kids. Cats, not so much! 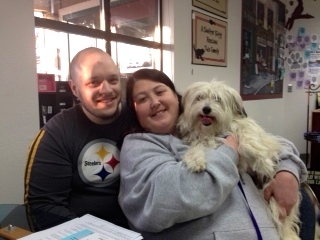 Destiny was adopted and returned because she really disliked the cats in the family. 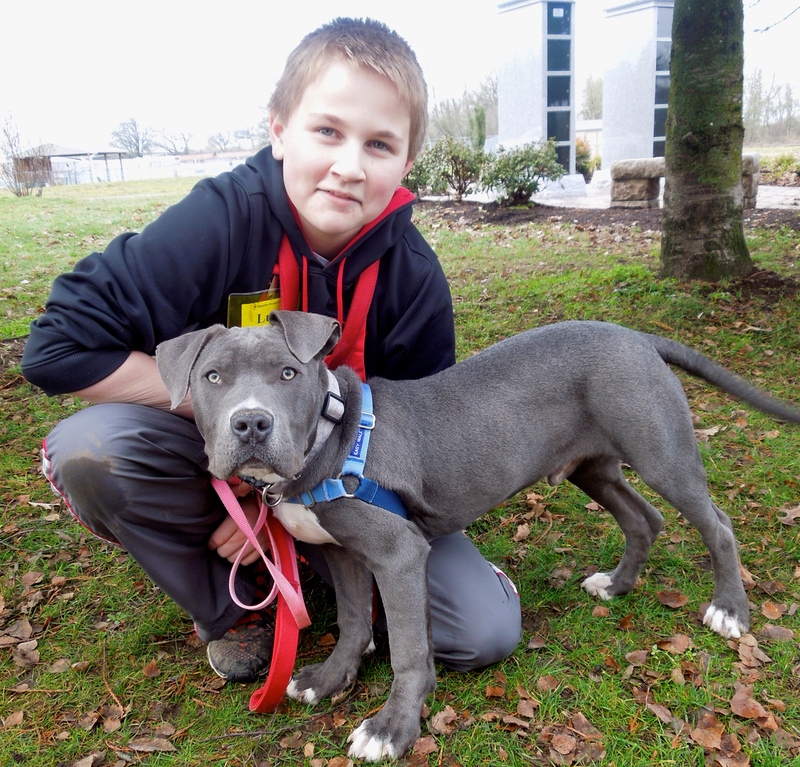 In fact, Destiny doesn’t like any cats, so a cat-free home is a must for this girl. She was great with the kids, however. She does need to polish her house training. 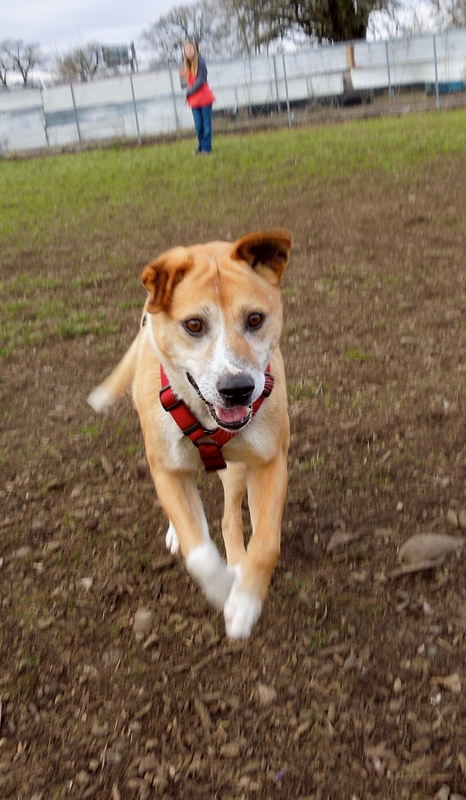 Destiny doesn’t seem to be depressed about being back at the shelter, and is still the happy dog she’s been since she arrived. 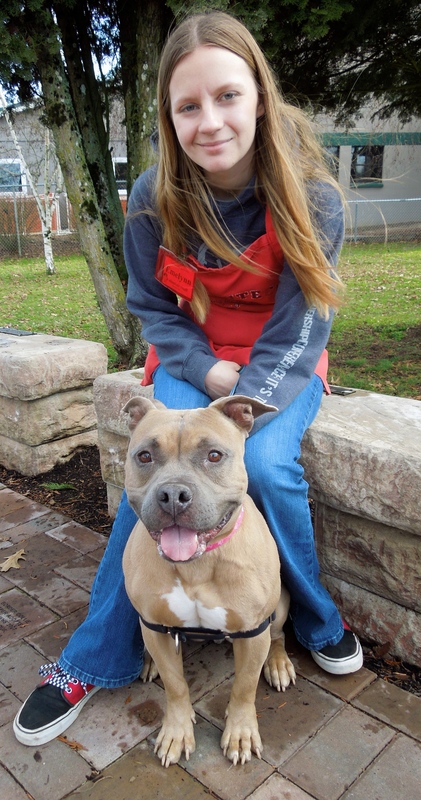 She is a three-year-old Pit Bull Terrier mix and one of our S.T.A.R.T. dogs from California. She’s hoping for a new catless home very soon! My name is Sandy. I’m looking for a quiet, calm home to call my own. 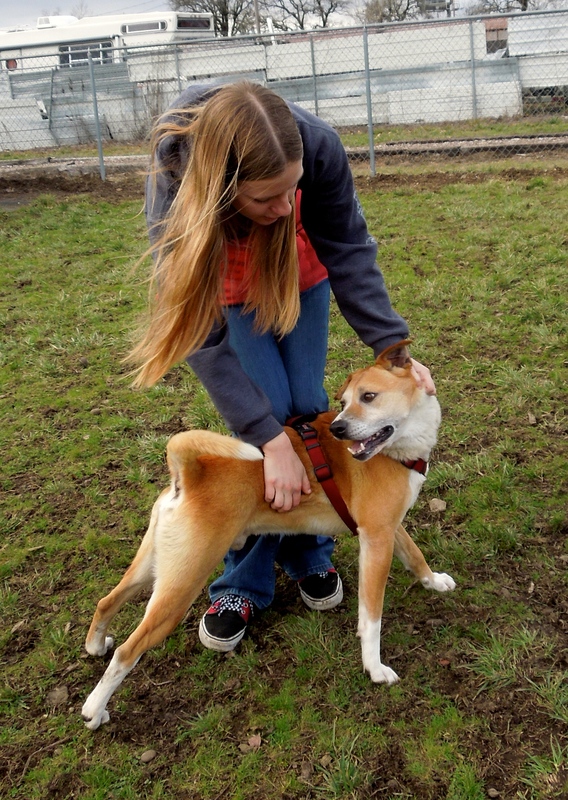 I first met sweet Sandy on Sunday when Diane brought her out for pictures. 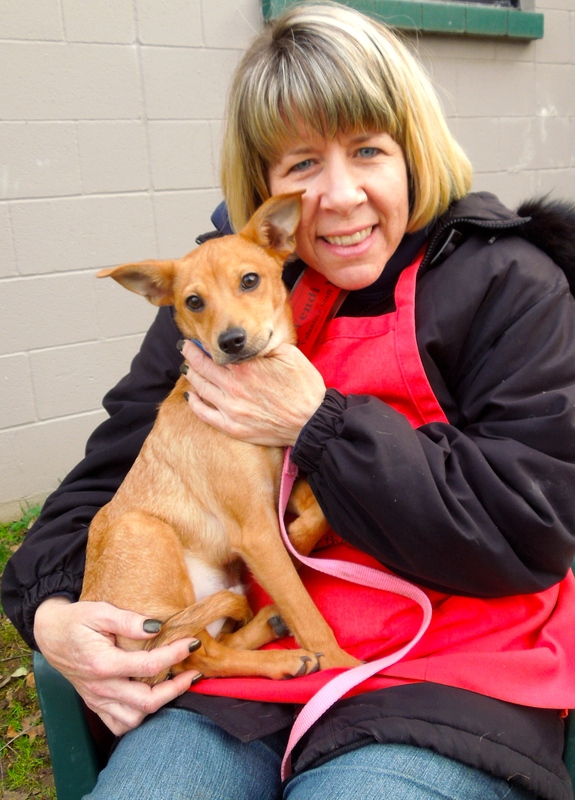 We were both touched by Sandy’s gentle nature and felt bad for her obvious nervousness at being at the shelter. 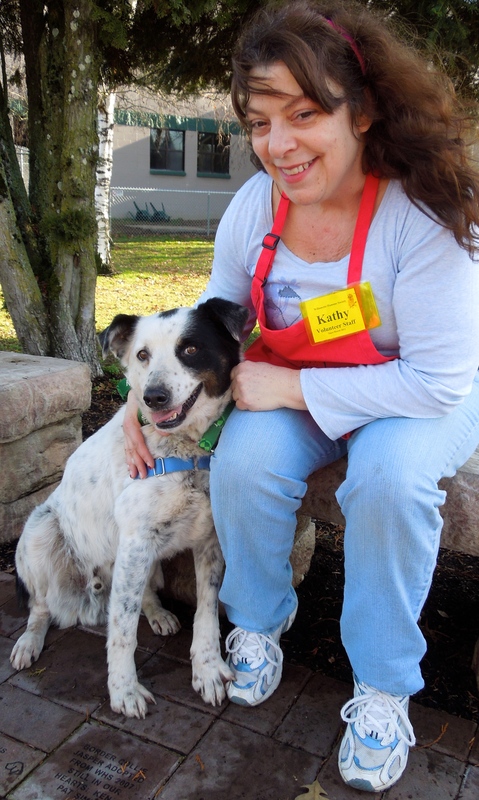 She is a six-year-old Australian Cattle dog mix and is another S.T.A.R.T. rescued dog. 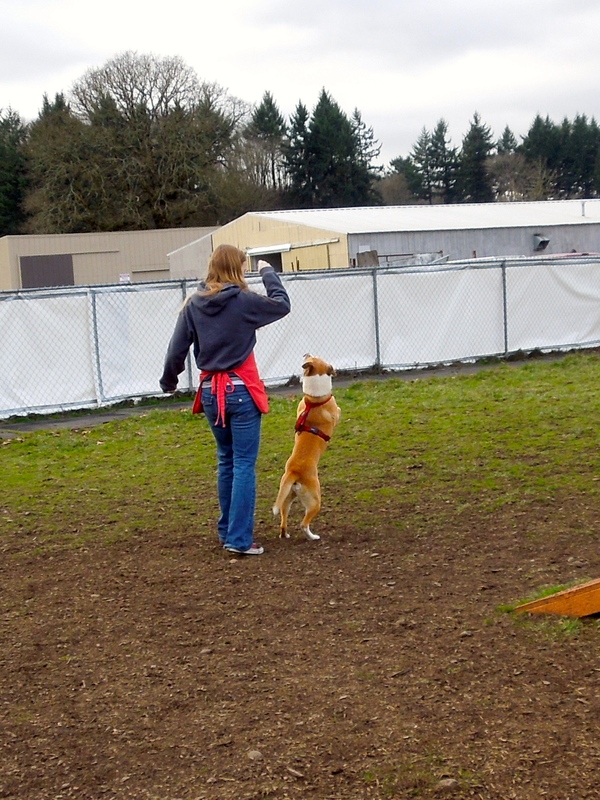 I was very pleased when today Sandy eagerly came to the front of her kennel for treats. She has settled in a lot and is comfortable now. She will need an understanding family who will be patient with her and help her to gain confidence. Everyone who has met this sweetheart loves her. She will make someone a wonderful companion. I just love my time out of my kennel with my friends like Jolene! 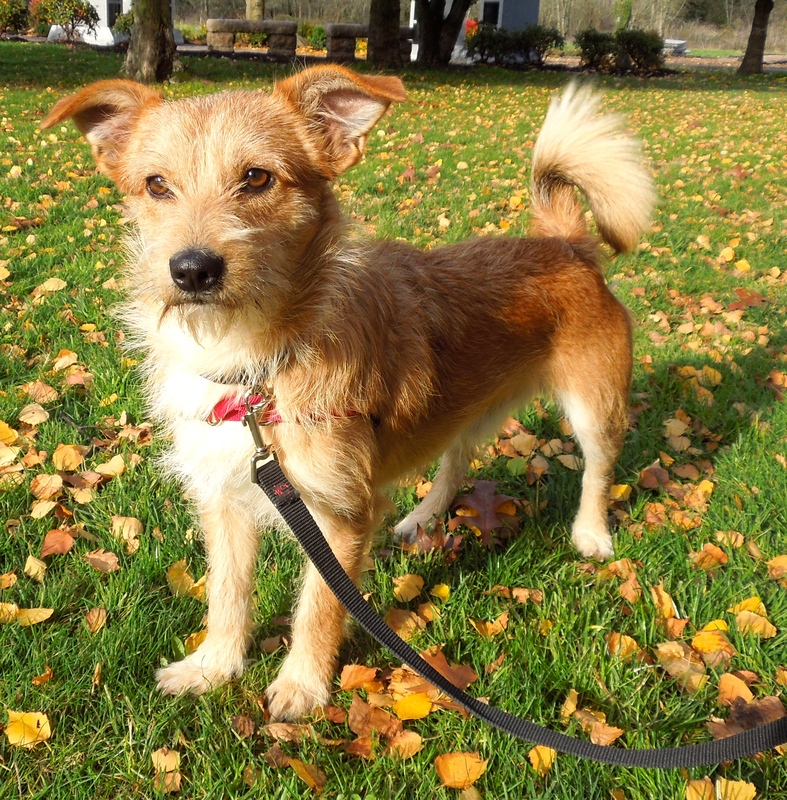 Mia is still waiting for her forever family. You’ll remember her from last week’s post with the wonderful testimonial by her foster mom, who said what a lovebug she is. Mia’s kennel presence isn’t the best, which may be why people pass by her, but we’re hoping someone will stop and spend some time with this happy dog. 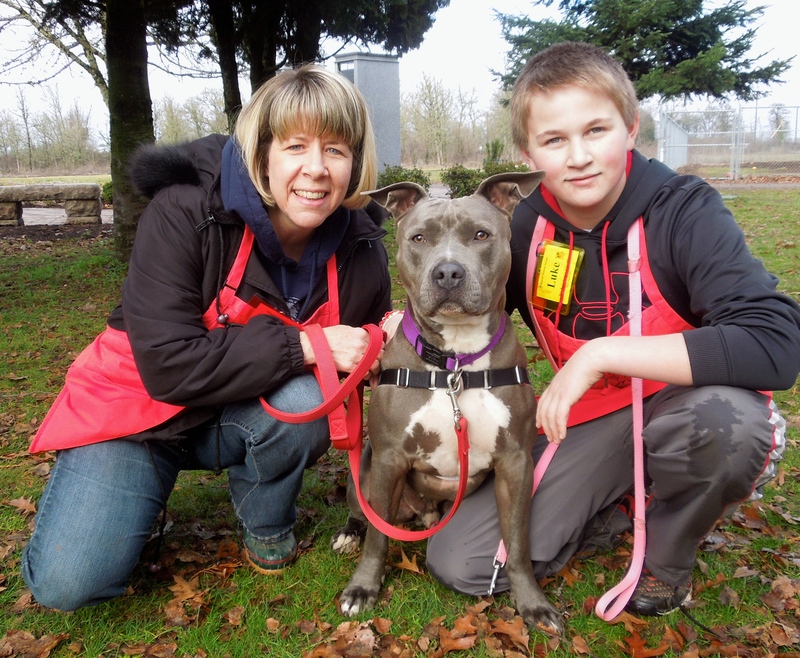 Mia is a four-year-old Staffordshire Bull Terrier mix, and a S.T.A.R.T. dog. Mia needs some practice on polite leash-walking, but Jolene said she improved today after only a short training session. 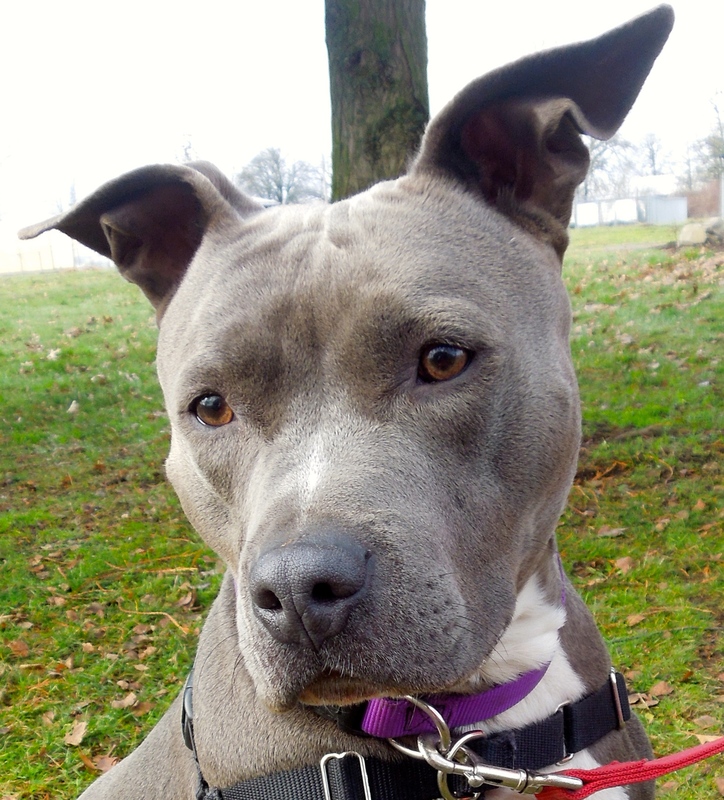 Mia is smart, eager, and anxious to find her new family. Is it yours? I’m kind of shy, but oh so cute, right? 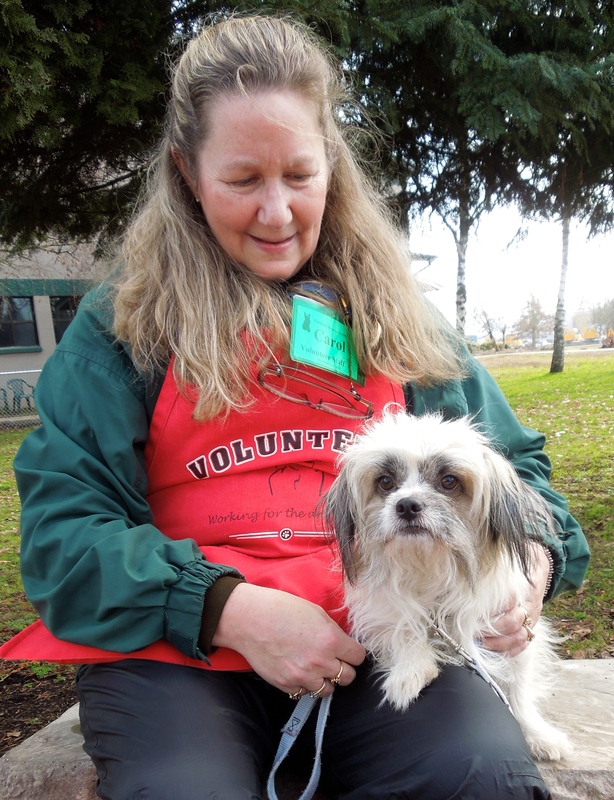 Today Carol spent time with Tito, a two-year-old Lhasa Apso/Papillon mix. This little eleven-pound boy is gentle and calm and will be a wonderful new family member for some lucky people. He loves to snuggle and be with his person more than anything else. I just love the sincerity in his eyes. He’s a S.T.A.R.T. 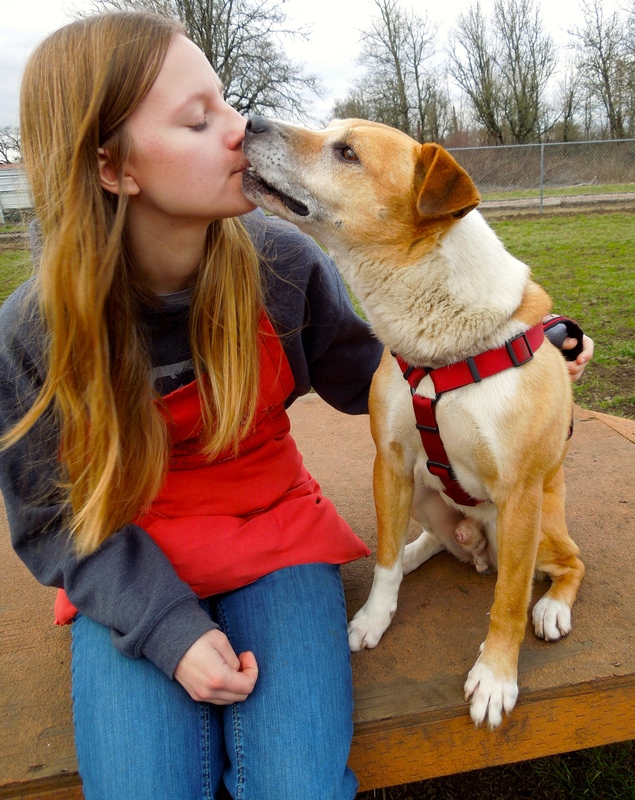 dog looking forward to starting his happily-ever-after life in Oregon. I guess I’m not a farm dog. I want to be an indoor dog! In my September 25th post, I introduced you to Casper, an eight-year-old Australian Shepherd/Border Collie mix S.T.A.R.T. dog. He was adopted shortly thereafter, but last week he was returned. 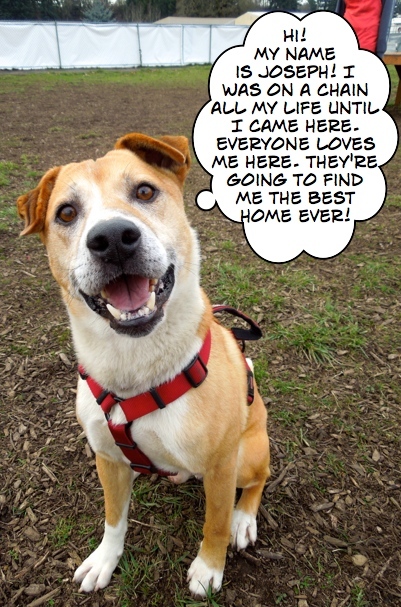 It seems Casper isn’t meant to be a farm dog and would like to be a town dog and be indoors with his family where there are no cats or chickens. 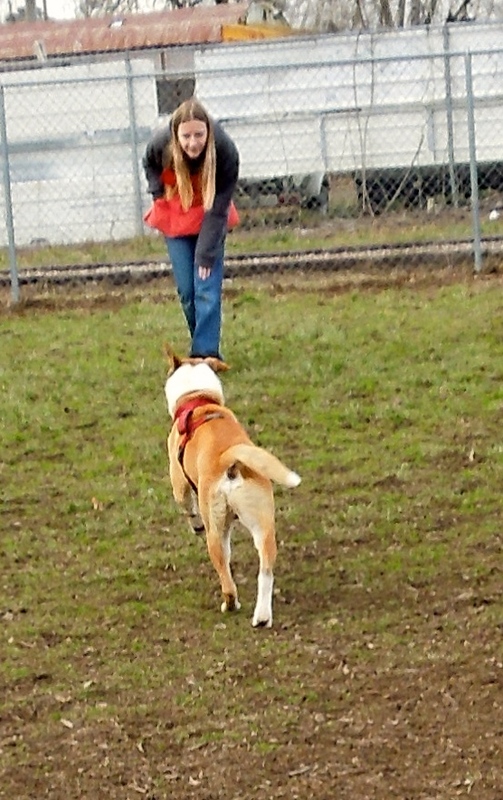 He was a great running partner with his foster mom and loves kids of all sizes and is very gentle with them. He is house trained. He doesn’t like to be left alone, so a family where there are people around most of the time would be ideal for this boy. Today Kathy enjoyed hanging out with Casper. 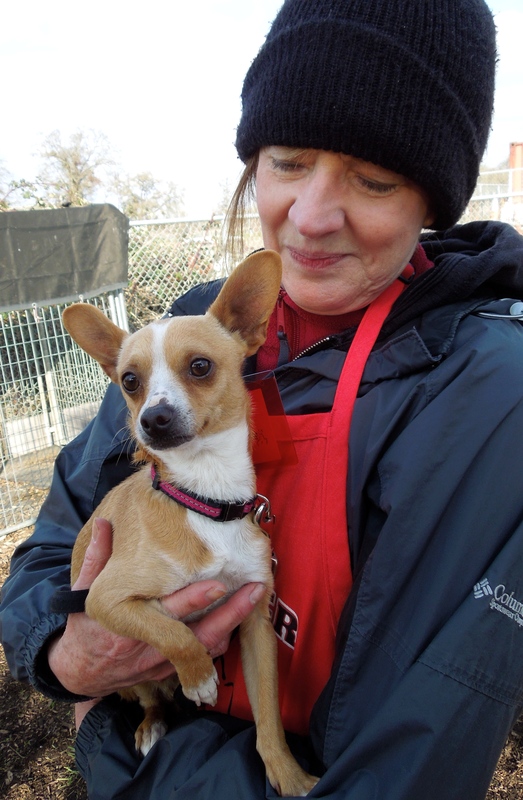 We’ve got colds right now, but we’re getting better and we’re still adoptable! 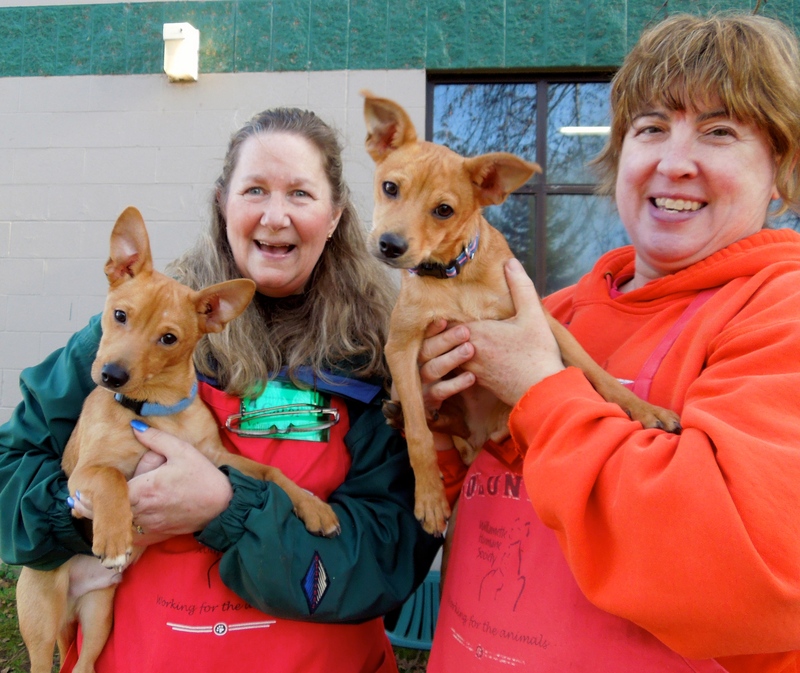 There are two little Chihuahua mixes who are in the ISO kennels because of colds. They are on medication and will soon be well again. They are S.T.A.R.T. dogs from California. Jolene spent time with both of them this afternoon. 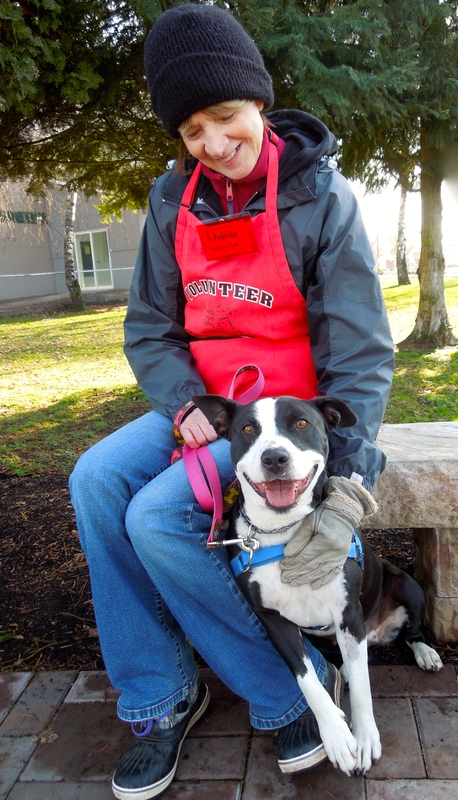 She said they are very affectionate, love to be with a person, and respond happily to sitting in laps and being petted. This little guy is two-year-old Sailor. He didn’t like to look directly into my camera, but enjoyed being in Jolene’s arms. And this is five-year-old Sammy. 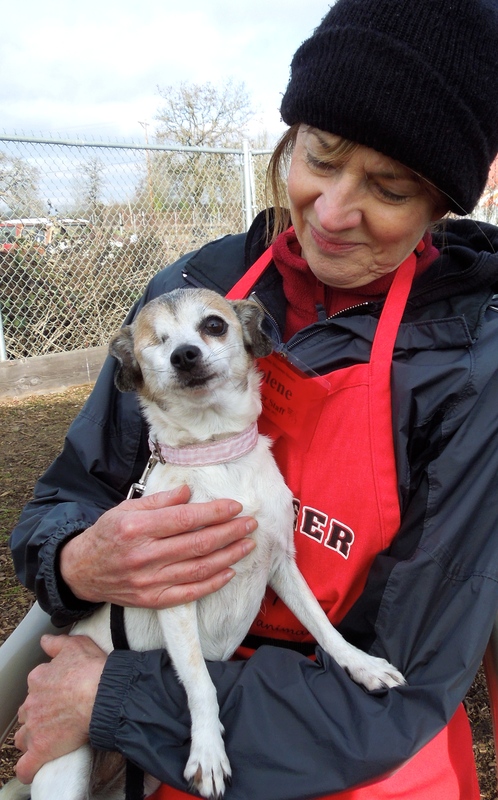 As you can see, she is missing her right eye, but doesn’t seem to mind at all. She is playful and eager, and, like Sailor, enjoyed being held. The last two dogs that Emelynn and I spent time with today are two of my favorites. The first one, Joseph, is Emelynn’s pick this week. Joseph has quite a story and he’d like to tell you himself. 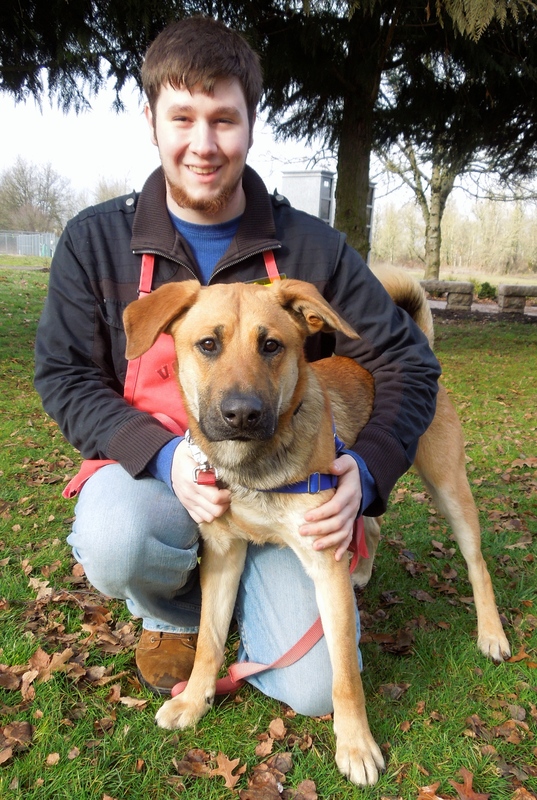 Joseph is a five-year-old Shepherd mix whose life on a chain was changed forever when he was rescued and brought to WHS. He is one grateful and happy boy and Emelynn and I had a terrific time romping with him in a yard today. 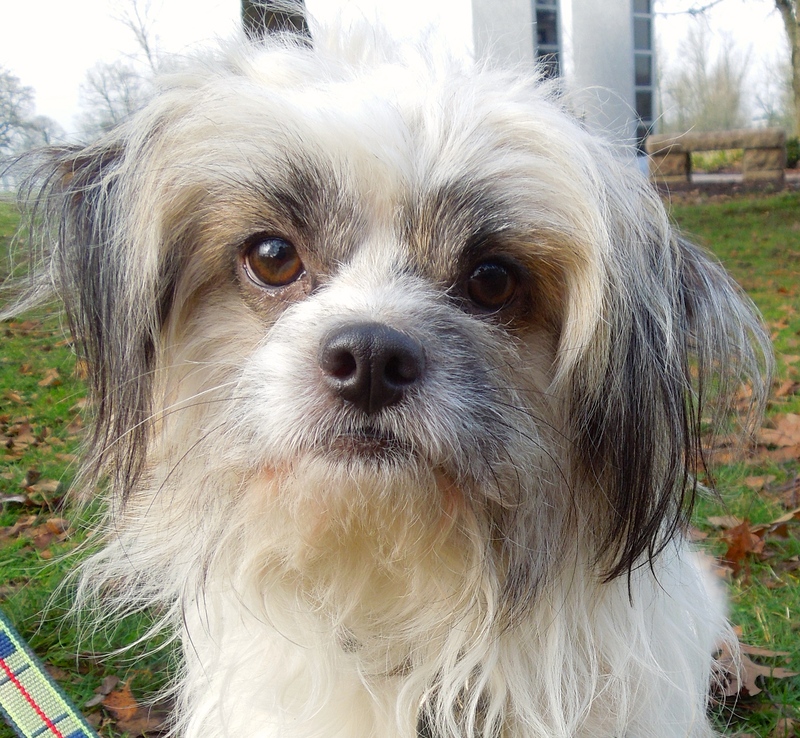 Joseph is waiting for just the right fit of a family. I’ll let the pictures speak for themselves. The last dog Emelynn and I took out today was Sully, our resident clown. As usual, he was thrilled to get into the yard and play. 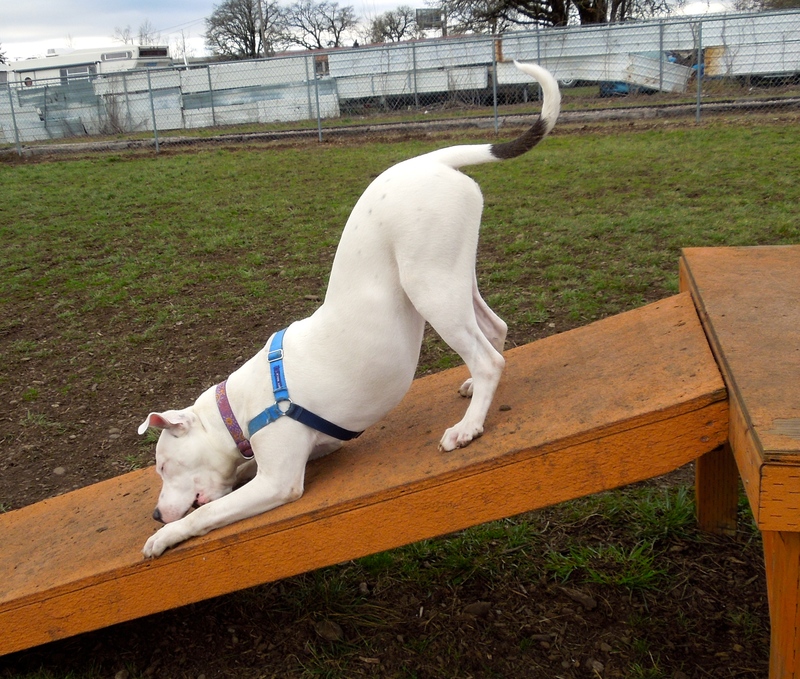 Sully is an eight-month-old Pit Bull Terrier who is such fun to watch. He lives for playing with toys, people, and other dogs. Again, I’ll let the pictures speak for themselves. In my November 27th post, I introduced you to Wizard, a S.T.A.R.T. dog. Today I got this wonderful message. “We wanted to wait first and make sure “Wizard” (now JP) was a good fit for our family and we love and adore him so much!!! He is just that perfect piece of the puzzle that was missing from our family!! He is super smart and so full of his quirky amazing personality. We cannot imagine our life without him!!! And on that happy note, I’ll close for this week! I had just taken out Sully this afternoon on my volunteer shift when I thought I saw him heading to a car with a woman. Sure enough, it was playful Sully going to a new home. The nice new owner (part of a couple I think), let me say goodbye to him. I mentioned he likes to play with toys. Luckily she said they had a whole lot of dog toys at home for him. Sounds like a good fit. They also were young enough to do a lot of dog play with him.